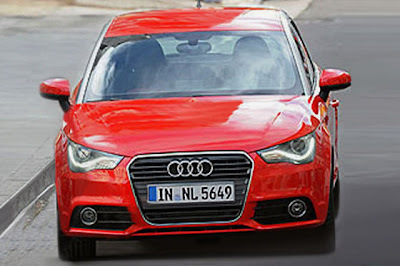 At first, we thought this was a brand-new spy photo of the Audi A1 in production form. Until it started looking a little too familiar. It appears that German auto mag Auto Bild, took the time to meticulously photochop Justin Timberlake out of the recent photo spied during filming of Audi's new A1 commercial. At least now we have a better look at the production A1, larger and sans Timberlake. Below, is the original Timberlake photo and Auto Bild's rendition. After looking closely, you'll notice it's the same photo.